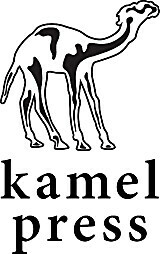 Kamel Press is a small, independent publishing company. We publish books people like to read! Kamel Press participates in LibraryThing Early Reviewers, which sends free review copies to LibraryThing members. Kamel Press has 8 books from past Early Reviewer batches. Kamel Press participates in LibraryThing for Publishers. LibraryThing publishers showcase their new titles and interact with the LibraryThing community. Kamel Press also participates in LibraryThing Early Reviewers.